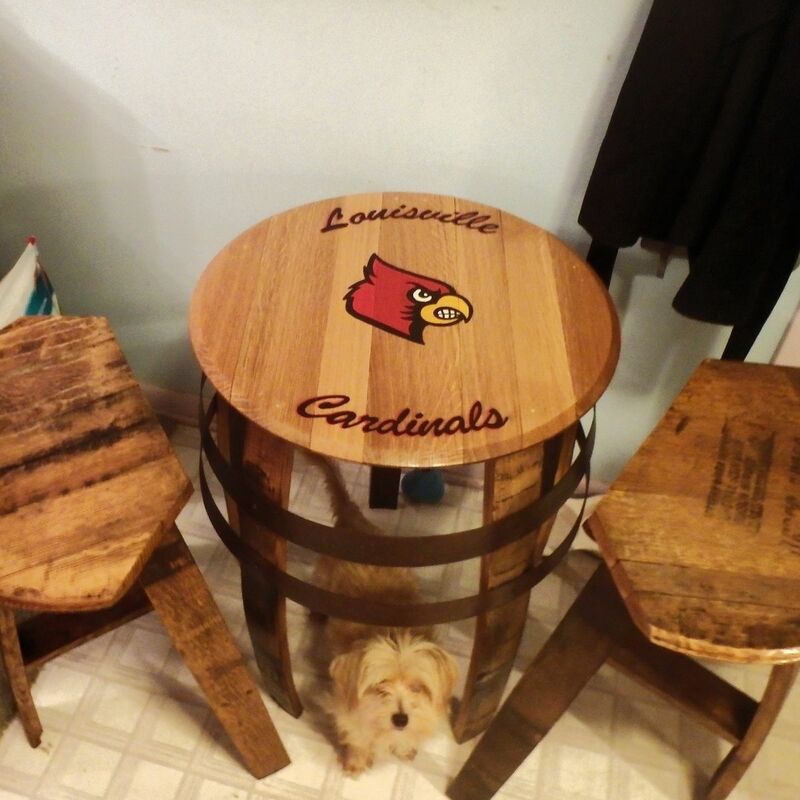 This was a custom order for a University of Louisville graduate. the size of the tabletop is 21" and the height is adjustable up to 34". Our bistro tables are available with or without custom paintings and or wood burnings. The stools are sold separately.